This feisty Shiba Inu plush makes a point of proving himself. Whether it's showing off that he's the fastest and cutest of all the other dogs or stubbornly insisting that his way is the right way, he's sure to prove himself as a lovable cuddly companion to you. From his black leatherette nose to his fluffy arced tail, Dunham was made with the discriminating dog lover in mind. 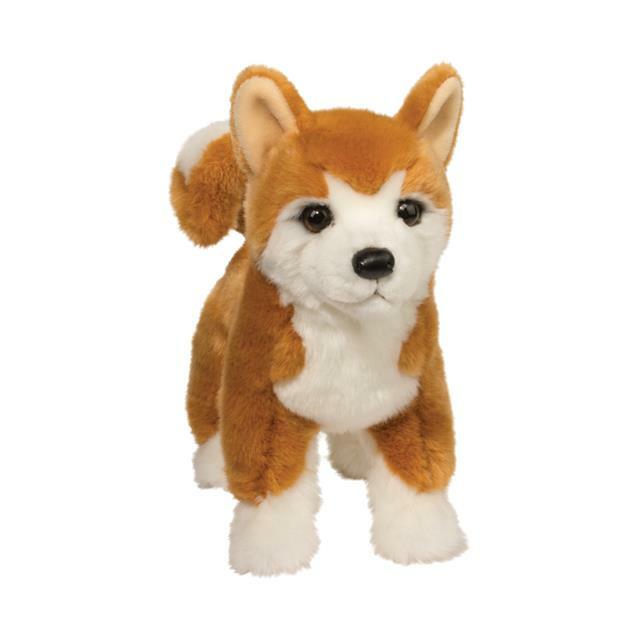 His design features the golden orange coat, small triangular ears, and curled tail of the Shiba breed and his facial detailing gives this stuffed dog an extraordinarily engaging expression that is sure to win fans. Dunham is designed in an upright standing pose but his high quality materials and soft fill make him an appealing soft plush toy that is ideal for hugs and cuddles when he's not running around howling about how awesome he is.